I’ve got that terrible feeling. You know the one – beyond the pit of your stomach. The type you’d get when you were a kid and that cousin you couldn’t stand was coming to yours. The one your mum told you that you had to play with. You hated them because you didn’t know whether once they’d gone you’d feel the sheer relief it was all over, or you’d be in hospital nursing broken bones after they’d rocked up and bashed the living daylights out of you, before going home triumphant. It’s the Maundy Thursday feeling. It’s the nearly derby day feeling. Justin Holbrook is forced into one change in his 19 man squad, Adam Swift’s shoulder injury opens a place for Aussie centre Ryan Morgan. 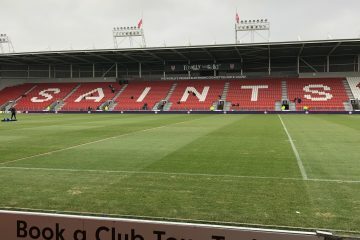 It’s already starting to cause discussion between Saints fans over whether Morgan will replace Swift with Makinson moving to right centre, or if Lomax will deputise in a position he covered to a good standard on Friday in East Hull. Wigan remain as formidable as ever. With a similar record to Saints, a win by 14 points or over would lift them above the Red Vee to top the table. No doubt Shaun Wane has been revving his troops up all week, possibly by showing his players mocked up pictures of our props kicking kittens, but more likely by winding up his players into a bundle of energy. 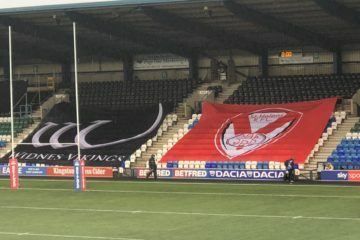 If Saints are slow out of the traps, Wigan will capitalise as they have in recent years and we will have to play catch up. Saints have a point to prove with a dismal recent record on Good Friday, and I’m going for a narrow Saints win. 1. Jonny Lomax, 2. Tommy Makinson, 3. Ryan Morgan, 4. Mark Percival, 6. Theo Fages, 7. Matty Smith, 9. James Roby, 10. Kyle Amor, 11. Zeb Taia, 12. Jon Wilkin, 13. Louie McCarthy-Scarsbrook, 14. Luke Douglas, 15. Morgan Knowles, 16. Luke Thompson, 17. Dom Peyroux, 18. Danny Richardson, 19. Regan Grace, 20. Matty Lees, 23. 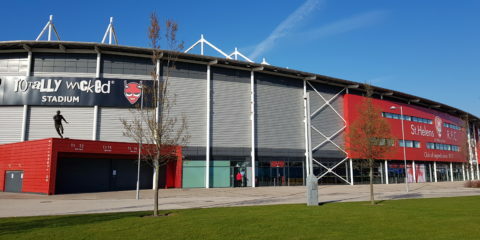 Ben Barba. 1. Sam Tomkins, 2. Tom Davies, 4. Oliver Gildart, 5. Joe Burgess, 6. George Williams, 7. Sam Powell, 8. Tony Clubb, 9. Thomas Leuluai, 10. Ben Flower, 11. Joel Tomkins, 12. Liam Farrell, 13. Sean O’Loughlin, 14. John Bateman, 15. Ryan Sutton, 17. Taulima Tautai, 19. Willie Isa, 22. Liam Marshall, 25. Romain Navarrete, 34. Josh Woods.